Just thought I'd share with you guys the latest new recipe I'd made and LOVED. I got the recipe from a mommy blog that I follow. 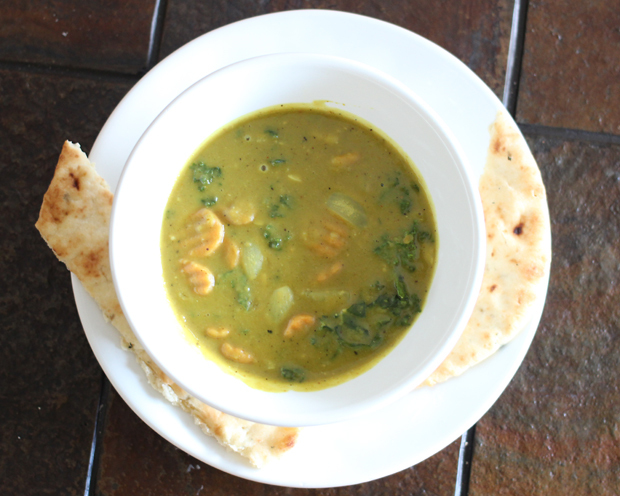 It's a curry yellow split pea soup that is very healthy, very filling, and very delicious! As you can see it also has carrots and kale. It was super easy to make. Hubs liked it a lot too and even said that if I'd had added chicken to it, that it would've tasted just like the curry chicken he's grew up on. That coming from an "island boy" is the ultimate compliment. He even said he didn't miss the chicken! By the way, the recipe called for yellow split peas, but my local grocer only had green. The green worked just fine. I also ended up adding about 1 extra cup of water while the peas were cooking because it wasn't as "soup-y" as I'd wanted. By the way, that's garlic naan on the side that I'd also bought from my regular ol' grocery store as well. The recipe can be found HERE. 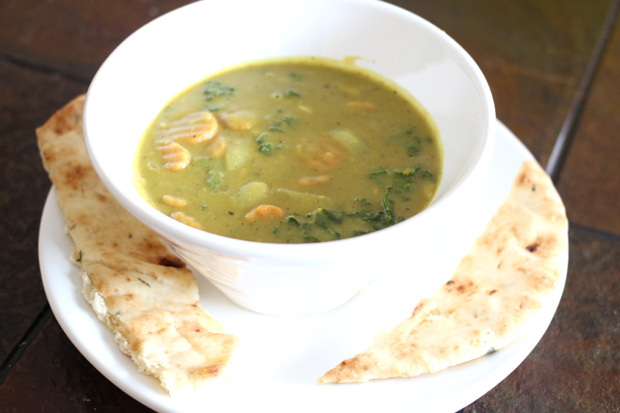 I LOVE split pea soup, but I've never made it before. This recipe looks totally easy. I'll definitely be trying it out soon. THanks for sharing!